1st Birthday and our middle daughter's 5th Birthday. There will be a lot of planning and two big parties- and A LOT of celebrating. While both days are very important, and both will be emotional for different reasons, our middle daughter's will be the most emotional because she almost didn't come home from the hospital when she was born. Why am I including this on my recipe blog? For several reasons: I will be posting food and planning blogs from these parties; this will also mark the 5th year anniversary of my lactose intolerance since it was the birth of this child that started it; and I think it's important to get know who the person is behind the blog, and this is a big part of who we are. 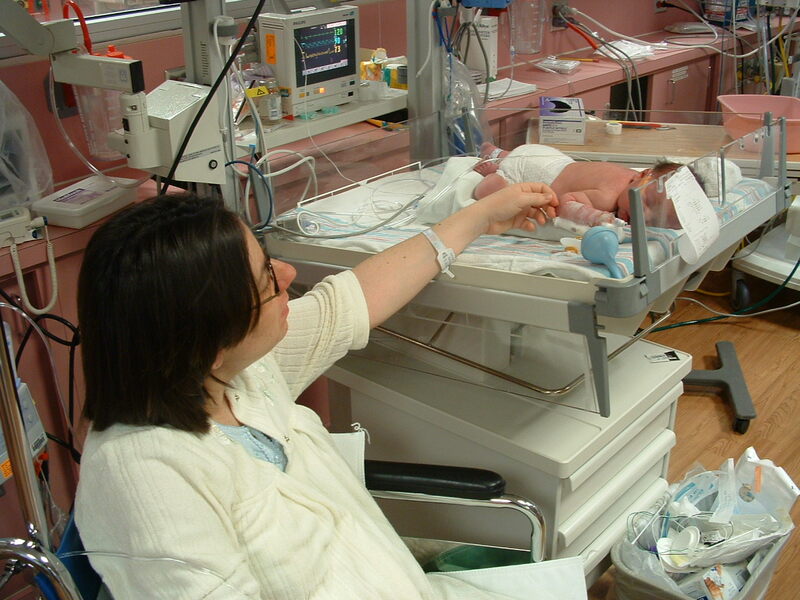 Samantha was born by planned c-section on May 31st, 2006. 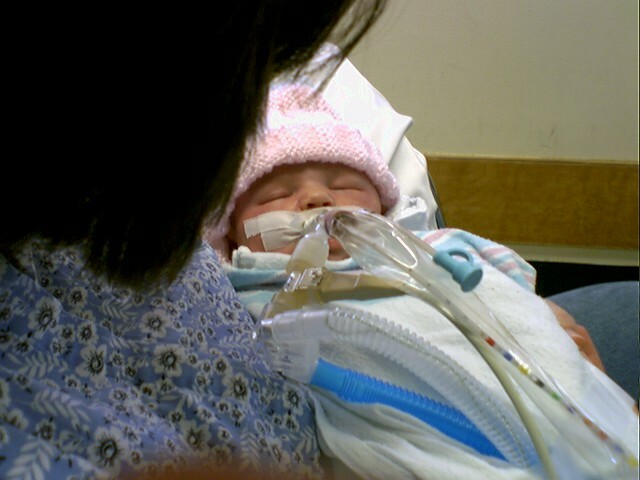 It was planned for 2 reasons- it was a repeat since our first daughter was an emergent c-section, and also because Sam was breach and was unable to turn so a VBAC was not an option. She was born 10 days before her due date, and all was supposed to be completely normal and uneventful. We got to the hospital at 5am for an 11am procedure. I remember being so absolutely uncomfortable because of her position- her feet were down and her head was resting on my lungs. Breathing had been an issue for several weeks. The surgery went so smoothly- at least on my end. I didn't feel any pain, I was calm this time (My first c-section was so scary! ), and we were even joking with the doctor while he was doing his thing. When they took her out though, our world turned upside down in the matter of a second. She wasn't breathing. She didn't cry. They finally got her to start making small, grunting cries, but I knew something was wrong. When they cleaned up and brought her to me, she was gagging on mucous and struggling to breathe. 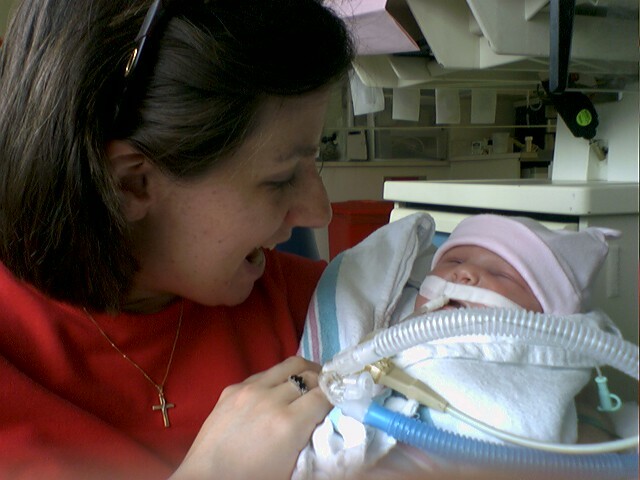 They whisked her away to the NICU to assess her before I ever got to hold her. I didn't know then I would have to wait two full weeks before I would hold my new daughter. The doctors had no idea what the problem was- was it merconium aspiration, a hole in her heart, pneumonia?... they tested for everything except what it was- Persistent Pulmonary Hypertension of the Newborn. Click this link for information on PPHN We weren't allowed to hold her, or touch her, or talk to her. Any sort of stimulation at all and she would desat and start having problems. As her mother, they did let me put my hand on her hand very lightly, but I was not to move it. I couldn't talk to her to tell her it would be ok, or that we were there. All we could do was sit next to her silently. She was taken to Children's Hospital of the Kings Daughters on June 3rd, and they immediately sent her to MVC in Richmond that same day for the possibility of needing ECMO to help her breathe. It was a very emotional, nightmarish, horrible few days not knowing if our daughter was going to live or die. At CHKD I was told to say goodbye to her in case she didn't survive the trip to Richmond. The nurses told me to kiss her head and tell her that I loved her- that was the hardest thing I have ever had to do so far in my life. That is a feeling I will never forget for the rest of my life. I will always credit MCV for saving our little girl's life. Somehow, by some miracle, she survived the trip and she avoided ECMO. That night we sat by the phone in our hotel room (we weren't allowed to stay in the NICU that night and I was still recovering from surgery and needed sleep). Every time it rang we panicked, thinking that was THE call. But that call never came. Morning came, we got to the NICU bright and early and there was our baby girl, hooked up to 3 different ventilators, monitors, IV's, but no ECMO machine. We still weren't allowed to touch her or talk to her but we could sit with her. And we did for hours, not talking just sitting. And praying. And crying. I did a lot of crying. After several days, with Sam slowly getting better, my husband and the nurses sent me home with my parents for a good night's sleep. We had been staying at the Ronald MacDonald House and then the Hospitality House, but there hadn't been much sleeping. I was still healing from surgery and the lack of sleep and excessive movement were taking their toll on me. I remember at one point the nurses asking who the woman was in the pictures in Sam's isolet. They were pictures of me, but I was so tired and so worn down emotionally and physically that I no longer resembled myself. That's when they sent me home. Sam had "turned the corner" as they doctor always said we were waiting for, and they were weaning her off the nitric oxide, hoping to turn it off that night. Plus, we had a two year old daughter at home that needed her Mommy too. Thankfully my parents took Cat for us for that time and sheltered her from what was going on as best they could. David spent the night in the NICU that night, waiting for them to turn off the nitric oxide and texting me a picture of the moment they did it. Sam's last night on the Nitric Oxide. 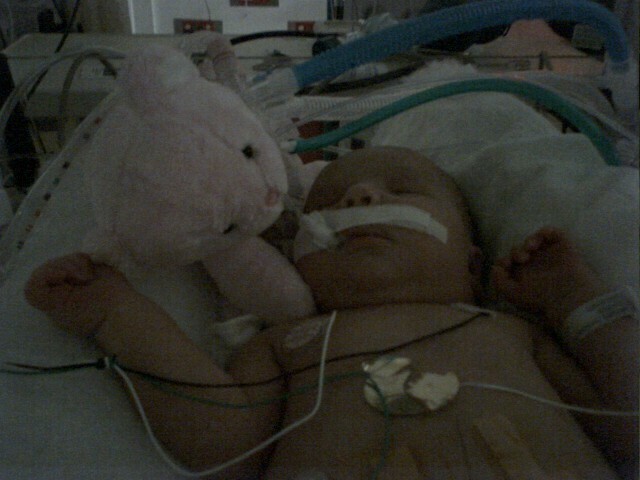 Her pink bear was holding up the breathing tubes. I went back the next day, better rested, armed with supplies to get us through- snacks, reading materials, toiletries, comforts from home. We spent another 3 weeks in Richmond with Sam, as she slowly but surely healed and overcame her PPHN. The first time we got to hold her. This could be a much longer story- so much happened in that month that Samantha was in the NICU, but I don't want to write a novel. I will say that the nurses at MCV were angels- everyone that took care of Sam treated her as though she was their own. Everyone was pulling for this little girl to make it and go home. At one point she was the sickest baby in the NICU, since most of the babies in there were preemies who just needed to grow some before they went home. At the end of Sam's stay, one nurse-Lynn- snuck Sam out of the NICU II ( the step down unit) and brought her to the nursing room so Catherine could finally meet her little sister. That was a great moment for our little family. That was 5 years ago. 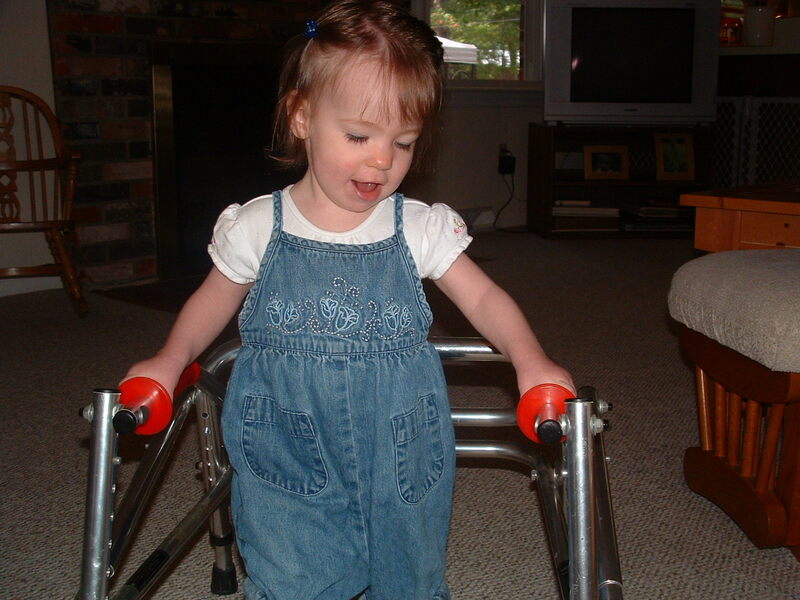 In that time this little girl has not only overcome and survived PPHN, she has also overcome her mild Cerebral Palsy, which is a direct result of a oxygen deprivation those first couple days of her life. Our Sam is now a happy, healthy, (almost) 5 year old, who loves to sing, dance, run, play with her friends, and beat us all at Wii Bowling. Everyday she proves to us that when someone says " Sam will never..." That means Sam definitely WILL! I have heard that someone made the comment when I was pregnant with our 3rd daughter "Why would anyone have another child after having one like THAT". My answer: Because THAT child is a miracle. THAT child is a blessing, a gift, and a reminder that life is beautiful and fragile. THAT child has a heart full of love and kindness. That's why we had another, because our youngest daughter will have THAT child as a role model and as a big sister. 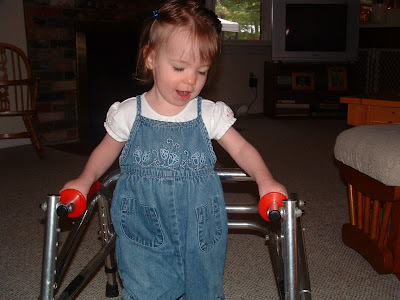 And I am sad for those that will judge Sam based on her mild disability, and never get to know the absolute wonderful person we all know she is going to become. This year Sam's party is going to be at Build-A-Bear. It's so fitting for her since we've called her "Sammie Bear" since her days in the NICU. She had 3 bears in her isolet- one from Nana and Papa, one from a friend, and one from us. Her big sister also painted watercolor Care Bears pictures to decorate her space in the NICU- one is framed and still stays on her dresser. So a Bear party is perfect. After the kids all get their bears, we will come back to our house for a tea party with the bears. I am still working on the menu for that, but Sam wants cute finger sandwiches, strawberry lemonade, and cake. One made by Mommy, and it has to have flowers on it, or so I've been told. Our Samantha - always the performer! Our precious little Sammie is definitely our miracle child. She is so smart and so active. She runs, plays, jumps, sings, dances. She is happy and such a comedienne! She never slows down and there is hardly anything that she won't try. Happy 5th Birthday, Sammie. We love you so much, Nana and Papa.